Please send the application in the mail or drop it off at the nearest center location. Head Start is a national, federally funded program which provides comprehensive early childhood education and family support services to eligible preschool children. Head Start helps to prepare children for success in school and in life. Children receive a positive introduction to education, learn how to interact with others, learn self-help skills and healthy habits. Head Start builds confidence in children and their parents. 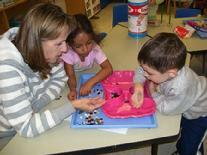 Our Head Start program is a part-day preschool program for children 3 to 5 years old. Children come to Head Start Monday through Friday from 9:00am - 1:00pm, September to June. Head Start is free to eligible families. You must live in Woonsocket and must meet the Head Start family income guidelines to be eligible for Head Start. Head Start is not just for children. Head Start is for families as well. Families become involved in their children's education, help support their children's learning, discover their own strengths, and continue to develop to their fullest potential. For Head Start center locations, click here. 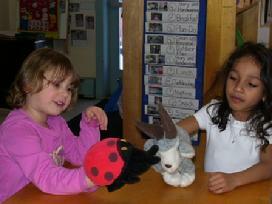 Our educational program is designed specifically for pre-kindergarten aged children. We follow the best practices in the field of early childhood education because your child deserves nothing less than the best. 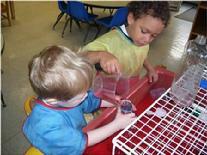 Our goal is to help children become independent, self confident, inquisitive learners. We encourage them to be active and creative explorers of their environment who are not afraid to try out their ideas and to think their own thoughts. We allow them to learn at their own pace and in ways that are best for them. We help them develop good habits and attitudes, particularly a positive sense of self, which is so important for success in school and in life. Our curriculum, The Creative Curriculum®, is aligned with the Rhode Island Early Learning Standards. These Standards, issued by the Rhode Island Department of Education, are the goals and expectations of what pre-kindergarten children should know and be able to do. Children receive a nutritious breakfast and lunch daily. Mealtime is a great time for learning, exploring, and socializing. All meals are home-cooked on site, are nutritionally balanced, and meet USDA guidelines for young children. Children's' favorites include homemade corn muffins, minestrone soup, vegetable lasagna, and "breakfast for lunch"- scrambled eggs and hash browns. For a sample of our monthly menu, click here. We cannot allow food from home because many children suffer from food allergies. Our menus take into account all documented food allergies and special diets. If a child cannot have a certain food being served, due to allergies or religious or personal beliefs, that child is given a substitute. 11. 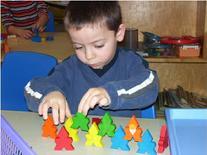 We match our expectations with children’s developing abilities and capabilities.